Writing a good mystery novel is a unique challenge for an author, and writing a historical mystery novel presents even more of a challenge to get the setting, characters, and feel of the time period right. C. M. Gleason, in the debut novel of a new Civil War mystery series manages to get all of these elements just right in an entertaining and engrossing tale. 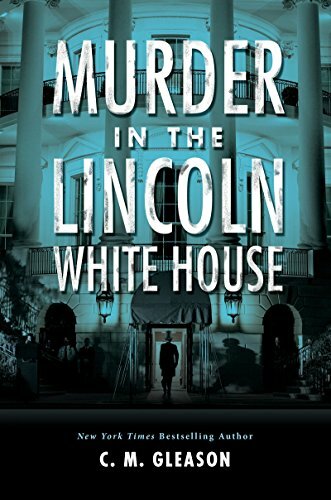 The book opens quickly with a murder at Lincoln’s Inaugural Gala as the nation teeters on the brink of secession and Civil War. Gleason introduces an engaging set of characters, especially the star of the novel, Adam Quinn, who immediately draws the reader into the setting and mood of the story. These characters show a lot of potential, with some teasing to a complex back-story to both Quinn and his unlikely heroine Sophie Gates, that will no doubt be explored further in future volumes. All of the characters and their intertwining relationships are very well done. Gleason has clearly done her research as she explains in her author’s note, and the secondary characters look to be a lively and entertaining part of future novels. The research also comes through in her description of the swampy, almost dingy feel of 1861 Washington, D.C., and many modern readers will no doubt be shocked to learn that the President’s Mansion, first dubbed the White House by Lincoln, was practically wide open to the public up to the early days of Lincoln’s Administration. Writing historical mysteries that must be solved without modern sciences such as ballistics and fingerprinting can present a daunting challenge to an author, but Gleason handles this extremely well and the plot moves along at a good pace, with a number of twists, suspects, and intrigue to keep the reader turning pages. When the crime is finally solved, the reader will be satisfied with a very believable means, motive, and opportunity that are resolved in an entirely satisfactory manner. No Sherlock Holmes leaps of logic here, Adam Quinn clearly struggles to understand how and why the murder occurred and needs a lot of help to sort out all the evidence and capture the culprit. This book definitely captures the mood and flavor of the times, while providing a captivating and engrossing mystery and will hopefully be the first of many volumes featuring these fascinating new characters.